Part of the massive Hong Kong-Zhuhai-Macao Bridge project, the Hong Kong Link Road project involves the design and construction of a 9.4km-long viaduct section from the Hong Kong Boundary to Scenic Hill on the Airport Island, supporting dual three-lane carriageways over deep waters. 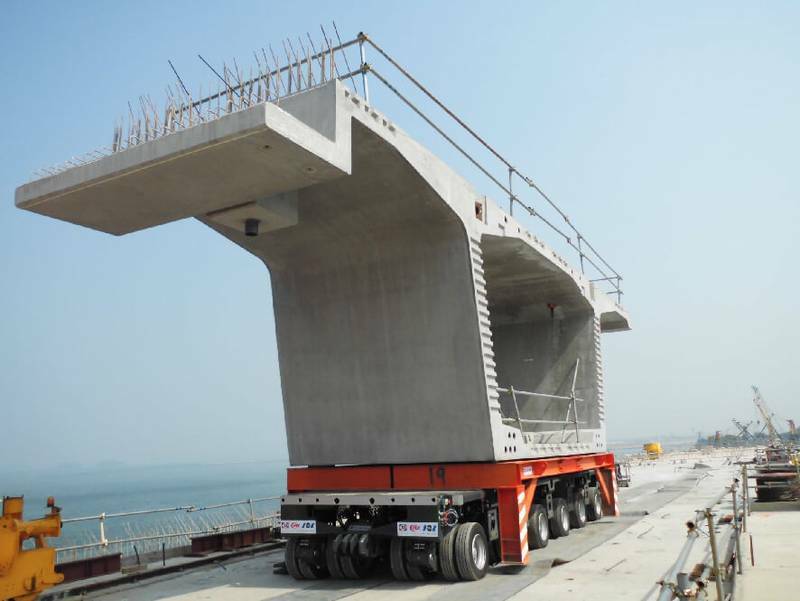 The bridge is Hong Kongs first one with a pre-stress and pre-cast pier structure. 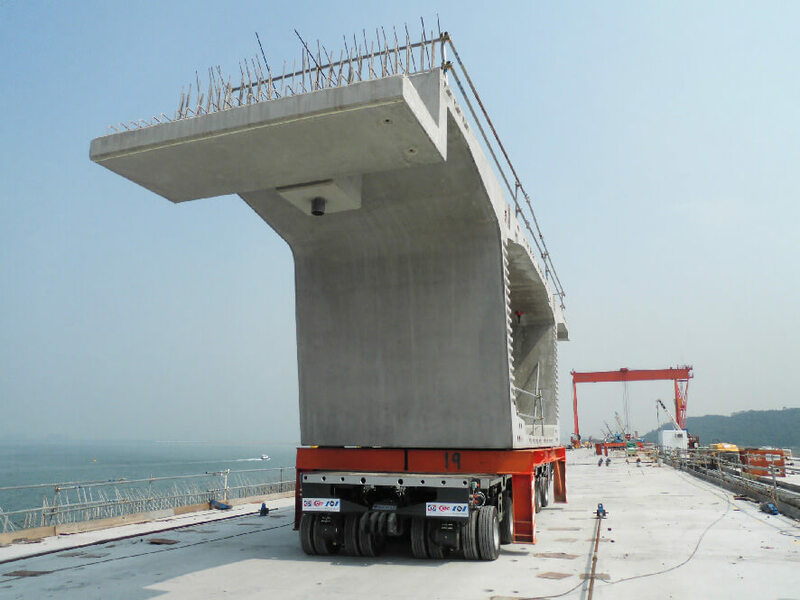 For transporting the pre-cast bridge elements, Dragages Hong Kong trusts in their NICOLAS MHD G2 SPE modules. „The NICOLAS MHD G2 SPE is in use around the world under toughest conditions – salty air, dusty environments, poor undergrounds – and that’s for a good reason, says Jannick Mathieu, Area Manager Sales at TII Sales. „With the second generation of this proven vehicle we provide the specifications the industry needs, no matter if we are talking about the impressive bending moment, a multitude of precise steering modes or the sturdyness and long-term reliability of the NICOLAS MHD G2“. The NICOLAS MHD G2 is available as 2-,3-,4-,5- and 6-axle module and can be equipped with a 215 or 410 HP Tier IV final PowerPack. Coupling sets make the combination with G1 vehicles easy. Mechanically steered vehicles can be coupled with electronically steered ones with special connection equipment. 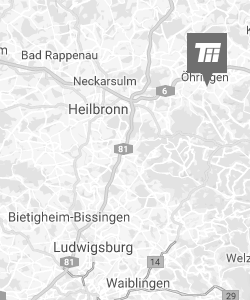 The MHD G2 is also successfully in use as automatically guided vehicle, thereby proving high degree of flexibility and versatility in its concept. Salty air, dusty environments, poor undergrounds – the NICOLAS MHD is in use around the world under toughest conditions.